Jonathan Sacks has been acclaimed by the Jerusalem Post as “one of contemporary Britain’s most outstanding thinkers and spokesmen.” The former Chief British Rabbi, who has been showered with awards from Jewish organizations and appointed to professorships in New York and London, has been feted as a “brilliant philosopher and an enlightening presence for the whole world.” He has even been called “the outstanding moral authority of our time,” while the egregious Prince Charles once described him as “a light unto this nation.” Not surprisingly, given the Jewish stranglehold over the Western media, Sacks, who was made a peer of the House of Lords in 2009, is given a regular platform to peddle his brand of Jewish ethno-politics in a range of media outlets including the BBC, the Guardian, the Telegraph, the Times, and The Wall Street Journal. Despite his high profile, and the honors and appointments that have been lavished upon him, an examination of Sacks’ intellectual output soon reveals it to be filled with feeble apologetics, empty platitudes and facile homilies. All of these are fully evident in a speech this “brilliant philosopher” recently gave to the European Parliament entitled “The Mutating Virus — Understanding Antisemitism,” (full text here) to open a conference on the future of Jewish communities in Europe hosted by Martin Schulz, the President of the European Parliament. 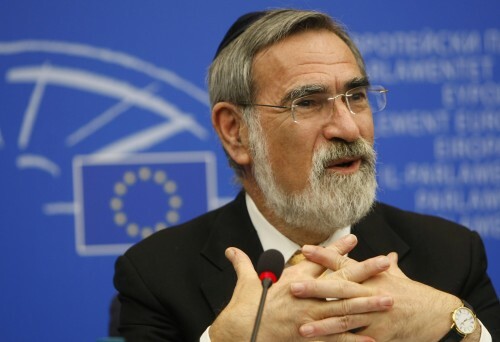 In his speech Sacks bewails the supposedly dire plight of European Jewry and offers his analysis of “what antisemitism is, why it happens, [and] why antisemites are convinced that they are not antisemitic.” Like the Jewish “historian” Daniel Jonah Goldhagen, Sacks favors using the term “antisemitism” over the hyphenated “anti-Semitism” — doubtless because the latter implies the existence of a “Semitism” which could (and indeed does) provide the dialectical basis for “anti-Semitism.” In this way they signal their denial of the reality that hostility to Jews stems from conflicts of interest between Jews and non-Jews in a Darwinian world. When bad things happen to a group, its members can ask one of two questions: “What did we do wrong?” or “Who did this to us?” The entire fate of the group will depend on which it chooses. If it asks, “What did we do wrong?” it has begun the self-criticism essential to a free society. If it asks, “Who did this to us?” it has defined itself as a victim. It will then seek a scapegoat to blame for all its problems. Classically this has been the Jews. antisemitism is a form of cognitive failure, and it happens when groups feel that their world is spinning out of control. It began in the Middle Ages, when Christians saw that Islam had defeated them in places they regarded as their own, especially Jerusalem. That was when, in 1096, on their way to the Holy Land, the Crusaders stopped first to massacre Jewish communities in Northern Europe. It was born in the Middle East in the 1920s with the collapse of the Ottoman Empire. Antisemitism re-emerged in Europe in the 1870s during a period of economic recession and resurgent nationalism. And it is re-appearing in Europe now for the same reasons: recession, nationalism, and a backlash against immigrants and other minorities. Antisemitism happens when the politics of hope gives way to the politics of fear, which quickly becomes the politics of hate. Wishing away anti-Jewish attitudes with one-line explanations and no references is typical of Jewish writers confident that they will not be held to normal standards of scholarship and argumentation in the mainstream media or academic world. Of course, Arab conflicts with Jews in the 1920s in the Ottoman Empire might just possibly have had something to do with Zionist immigration to the area and conflicting nationalist aspirations. And explaining late-nineteenth-century and contemporary European anti-Jewish attitudes as having nothing to do with Jews as a powerful, influential elite whose interests conflicted with other sectors of the society is simply inexcusable. Sacks naturally fails to mention the elite status of Jews in the early decades of the Soviet Union under Stalin. For Sacks, if Stalin was evil and murdered millions, Jews must have been among his victims, not prominent among the perpetrators — as was indeed the case (see previous link). Also unmentioned is Israel’s cynical willingness to purchase oil from ISIS and to provide emergency medical treatment for radical Islamists to get these implacable “antisemites” back onto the battlefield in order to topple Assad. According to Sacks, hostility to Jews is never rational and is always a manifestation of an anti-social mania on the part of the neurotic non-Jew which, while initially directed at Jews, is subsequently arrayed against other minority groups. This assertion is falsified by a quick survey of history where we find that hostility to Jews has, in most cases, existed independently of animus to other minorities, and complaints about Jews are always quite different from complaints about, say, Blacks or gypsies. In any case, Sacks neglects to explain why the hostility that has been directed at other minorities like gypsies, much less Mennonites or Mormons, trifles in comparison to that directed at Jews. Anti-Jewish feeling has been a defining component of major historical upheavals, such as the Spanish Inquisition and the rise of National Socialism — due in no small part to Jews being an elite with radically different interests than the people they have lived among. Turning his attention to the welfare of European Jewry, Sacks yet again peddles the kind of spurious Freudian diagnoses of “anti-Semites” that were a Jewish stock in trade throughout the twentieth century, informing us that “the appearance of antisemitism in a culture is the first symptom of a disease, the early warning sign of collective breakdown.” Consequently, if Europe “allows antisemitism to flourish,” then “that will be the beginning of the end of Europe.” This is reminiscent of Barbara Lerner Spectre’s famous comment that Europe must become transform itself into a multicultural society in order to survive. His reflexive hostility to native Europeans is such that, despite Muslim immigration being the overwhelming factor behind any recent upsurge in hostility to Jews in Europe, Sacks refuses to single it out as a particular problem. To do so would bring the entire “diversity” project (the centerpiece of the Jewish ethno-political strategy for the West) into question. Careful to avoid this, he speaks as though the presence of very large numbers of Muslims in Europe (with their alien and belligerent culture) is uncontroversial and desirable. Indeed, in Sacks’ mind, these newcomers are Europeans and their attitudes and behavior are the responsibility of real Europeans. We are not today back in the 1930s. But we are coming close to 1879, when Wilhelm Marr founded the League of Anti-Semites in Germany; to 1886 when Édouard Drumont published La France Juive; and 1897 when Karl Lueger became Mayor of Vienna. These were key moments in the spread of antisemitism, and all we have to do today is to remember that what was said then about Jews is being said today about the Jewish state. Multiculturalism is nothing if not a Jewish-originated, promoted, and now state-sponsored, program to “make space for difference” (prototypically for Jews). 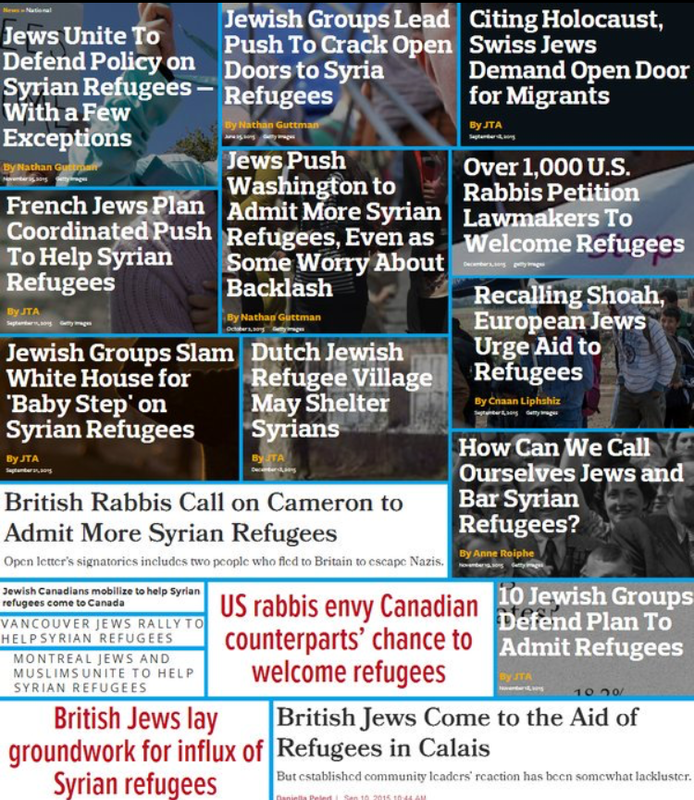 Mass non-White immigration and multiculturalism are the weapons Jewish activists have deployed to achieve what they regard as the preemptive denazification of entire Western world. The practical corollary of “never again” for Jews has been to never again allow the kind of homogeneously White society that was a precondition for the rise of National Socialism. Using tens of millions of Muslims as the agents for this diversification has, however, provoked consternation among the ranks of Jewish neoconservatives with a different view of the long-term interests of Jews. Leibler is part of the distinct (though growing) minority of activist Jews who regard the Jewish strategy of transforming Europe through mass Muslim immigration as “bad for the Jews.” In 2010 he voiced his strong support for non-White immigration and multiculturalism for Australia while rejecting these policies for Israel. He thus accepts it to be in the interests of Jews to dilute and weaken the identity of the majority European-derived nations in which many live. For Leibler, however, this non-White diversification strategy for is only good for Jews providing “hordes of embittered anti-Semites” from Muslim nations aren’t the primary means of achieving it. 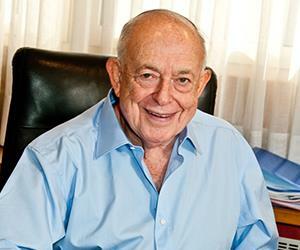 A silver lining of the rapidly-accelerating destruction of Europe for Leibler is that, unlike vulnerable Europeans, Jews can always flee to an ethnically-homogeneous “Jewish state” that provides “a haven for all Jews.” As an ultra-Zionist he naturally hopes that, as European societies become increasingly violence-plagued, dysfunctional and inhospitable to Jews, “many will leave and join us in Israel and participate in the historic renaissance of our people.” As a result of Jewish activism, millions of White people are also increasingly fearful of their or their children’s future. Unlike Jews, however, they don’t have the option of fleeing to the relative safety of an ethno-state. [i] John Murray Cuddihy, The Ordeal of Civility: Freud, Marx, Levi-Strauss and the Jewish struggle with Modernity (New York NY; Beacon, 1987), 6. [ii] Jonathan Sacks, The Chief Rabbi’s Haggadah (Essays) (New York NY; HarperCollins, 2003), 41. [iii] Jonathan Sacks, Radical Then, Radical Now (London; Bloomsbury Academic, 2004), 205. [v] Jonathan Sacks, Future Tense: Jews, Judaism and Israel in the Twenty-first Century (New York; Schlocken, 2012), 129. [vi] Sacks, Radical Then, Radical Now, 88. [vii][vii] Sacks, Future Tense, 111.